John started teaching himself to sing in his early twenties, learning traditional Irish ballads which his father would encourage him to sing during holidays to Ireland. His visits to Ireland were during the Clonmany Festival which was not far from his ancestral home. He enjoyed watching local artists in the pubs and hotels and soon got the bug and started learning the guitar. In 1996 he entered his first Clonmany Talent Competition, singing 'Fields Of Athenry' and successfully coming 2nd place, winning himself 50 Punts (Old Money) and a Donegal Pottery Vase. He later formed a duo called 'Well Strung' but was short lived so he decided to become a solo artist. For five years he performed in local pubs and clubs were he soon met his wife to be and decided to end his solo career and settle down. During his leisure time, John never stopped singing and playing his acoustic guitar. He started learning modern country music after a friend borrowed him a collection of magazines called 'New Country' which came with a music CD. Country music always had a place in his heart and enjoyed listening to it during his visits to Ireland. He eventually started practicing some of the songs and slowly built up a repertoire which he'd later perform at local 'open mic' nights, he said the response was good and soon got the bug again. After encouragement from his family and friends, John is now currently working as a Country Music Solo Artist all around the UK. 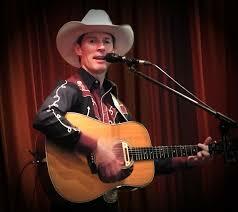 He plays old and new country music and caters for line dancers and concert style events. Since starting back in July 2016, John has just been awarded CCN newcomer of the year award 2017.